A few days ago, my favourite artisan chocolate maker launched a new, luscious and unique chocolate: Noir de Provence. Ah ah! It seems that the world known black truffle is not the only ‘Or Noir’ (black gold in French) we now have in Provence, as this might become the most sought-after delicacy in Avignon. So, what is ‘Noir de Provence’? As the name suggests, it is a chocolate made and created in Provence. Aline and Léa, our chocolate maker and most helpful sales assistant, have worked on a unique recipe, selecting the best quality cocoa beans from different origins. 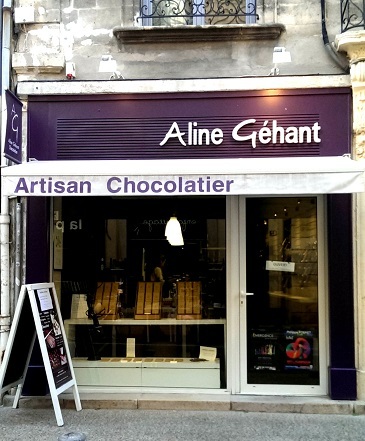 As they wanted a 100% locally made chocolate, they chose to work with designers and printers based in Avignon. Such a delicate and fine produce should be treated well, which is why they have decided to use the traditional process of typography printing press for the wrapping case. The old-fashioned cardboard packaging is elegant and modern at the same time. Our beautiful region of Provence was also a great source of inspiration for the design, and it is the world known cicada that was chosen to feature on the chocolate boxes. A truly Provençal produce! The exceptional blend of Ghana and Grenada cocoa beans give a flavourful, well-balanced and intense dark chocolate that will please every chocolate lover. 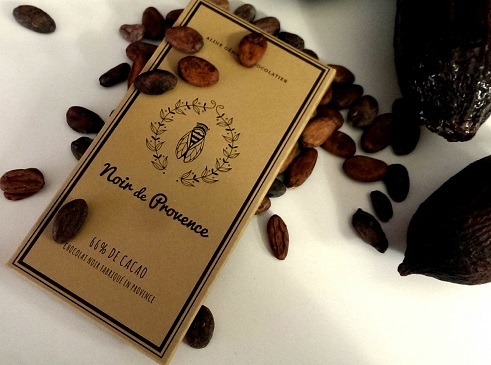 Like any other chocolate, you should let the Noir de Provence melt in your mouth to fully enjoy it. The creamy yet refreshing and fruity initial sensation is then followed by a rich cocoa hint which makes the whole experience a delightful one. 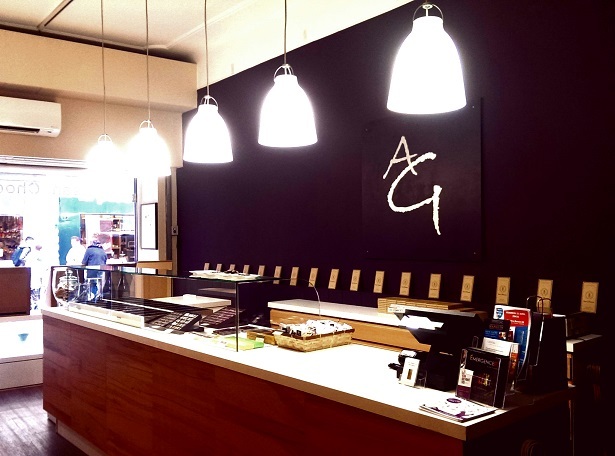 If you are visiting Avignon this year, you need to head to Aline Géhant Chocolatier, 15 Rue des 3 Faucons in Avignon to experience this unique chocolate. It also makes a wonderful and unique gift to bring home. And for those of you who wonder, yes, you do get to taste this chocolate on our Taste of Avignon tour, so book your tour now!